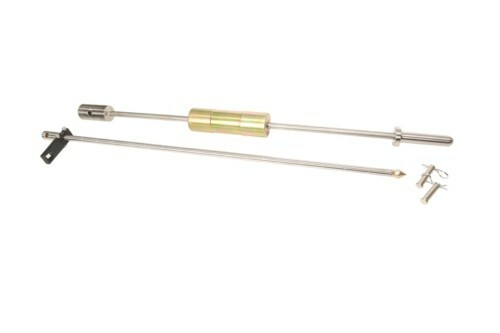 Airfield Economy Single Mass DCP Kit 8 kg. Hammer, 48" Extra Strong Drive Rod made of ETD 150 Steel (46" actual penetration) (DM.QC.4), 50 Disposable Cone Tips (DM.ALL.25), 2 Cone Adaptors (DM.ALL.3) , 5 Pack of Hardened Steel Reusable Cone Tip (DM.ALL.2), 50" Vertical Scale (DM.ALL.10), All Wrenches, Upper & Lower Guides to hold Vertical Scale during one person operation (DM.ALL.11 & DM.ALL.12), Custom Made Pelican 1750 Case (DM.ALL.5) Meets all D6951/D6951M − 09 (Reapproved 2015) and Army Corp of Engineer certifications and standards. 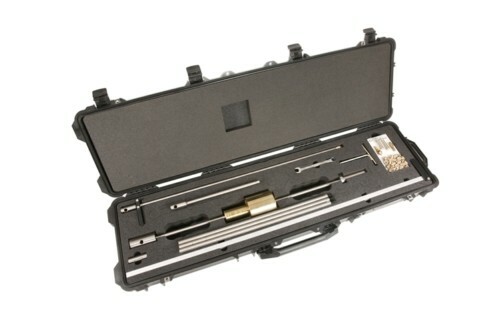 Deluxe Military Single Mass DCP Kit 8 kg. Hammer, 30" Drive Rod (28 1/4" actual penetration) (DM.QC.1), 100 Disposable Cone Tips (DM.ALL.100), 2 Cone Adaptors (DM.ALL.3), 5 Hardened Cone Tips (DM.ALL.2), 50" Vertical Scale (DM.ALL.10), All Wrenches, Upper & Lower Guides to hold Vertical Scale allowing one person operation (DM.ALL.11 & DM.ALL.12), 1 Light Duty Drive Rod (DM.QC.5), 3 24" Drive Rods (DM.ALL.4), Custom Made Pelican 1750 Case (DM.ALL.5) Meets all D6951/D6951M − 09 (Re-approved 2015) and Army Corp of Engineer certifications and standards. Deluxe Single Mass DCP Kit 8 kg. Hammer, 37" Drive Rod (DM.QC.2), (25) Disposable Cone Tips (DM.ALL.25), (1) Cone Adaptors (DM.ALL.3), (1) Hardened Steel Reusable Cone Tip (DM.ALL.1), 50" Vertical Scale (DM.ALL.10), All Wrenches, Upper & Lower Guides to hold Vertical Scale allowing one person operation (DM.ALL.11 & DM.ALL.12), (1) Light Duty Drive Rod (DM.QC.5), (3) 24" Drive Rods (DM,ALL.4), Custom Made Pelican 1750 Case (DM.ALL.5) Meets all D6951/D6951M − 09 (Re-approved 2015) and Army Corp of Engineer certifications and standards. 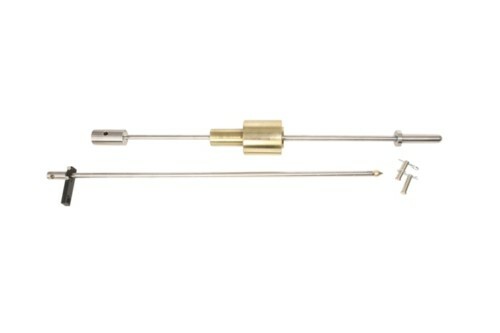 Single Mass DCP Kit 4.6 kg. 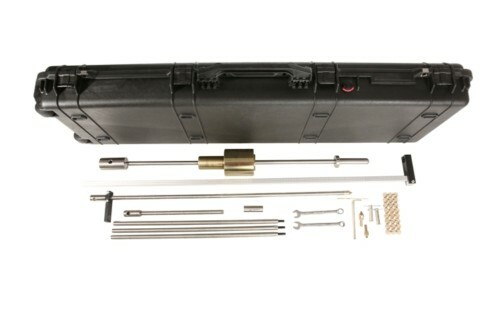 Hammer, 37 3/4" Drive Rod (36" actual penetration) , (DM.QC.2), 1 Hardened Steel Reusable Cone Tip (Qty 1 DM.ALL.1), Durable Hard Plastic Case, Does not come with Vertical Scale (DM.ALL.10), Disposable Cone Tips (DM.ALL.25), or Disposable Cone Adaptors (DM.ALL.3) These can all be purchased separately. Meets all D6951/D6951M − 09 (Reapproved 2015) and Army Corp of Engineer certifications and standards. Single Mass DCP Kit 8 kg. 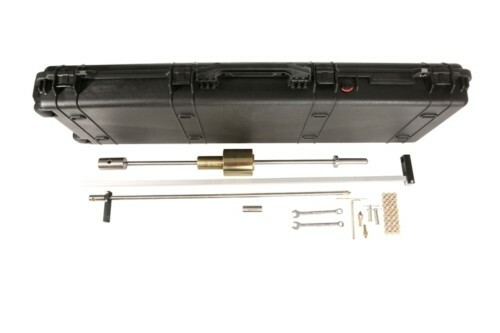 Hammer, 30" Drive Rod (28 1/4" actual penetration) (DM.QC.1), 1 Hardened Steel Reusable Cone Tip (DM.ALL.1), Does not include Pelican Case, Vertical Scale, Disposable Cone Tips (DM.ALL.25), or Disposable Cone Adaptors (DM.ALL.3) These can all be purchased separately. Meets all D6951/D6951M − 09 (Reapproved 2015) and Army Corp of Engineer certifications and standards.